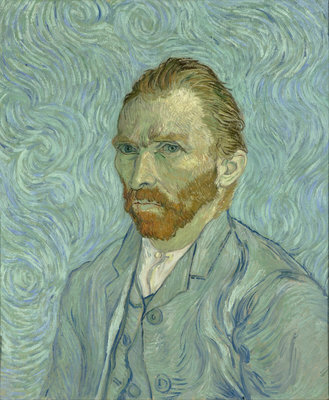 Blue is one color that Vincent Van Gogh used predominantly in most of his paintings. 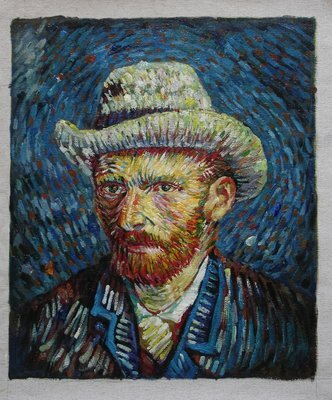 He used different shades of blue in his every painting and complemented it with a contrasting color that always made the blue stand out. 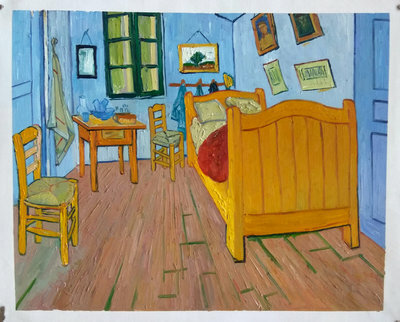 Blue, as a color, is associated with stability and depth. 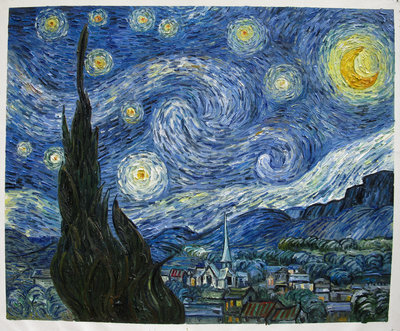 It has a calming effect on the mind. 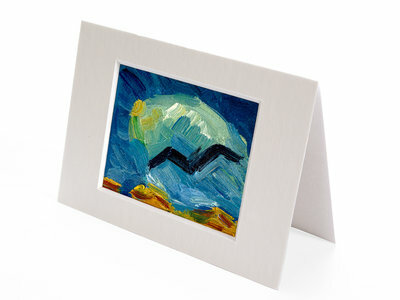 While light blue represents tranquillity and softness, dark blue depicts power, knowledge and integrity. 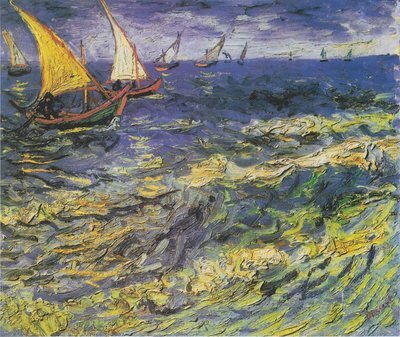 French ultramarine is the shade of blue that Van Gogh usually preferred. 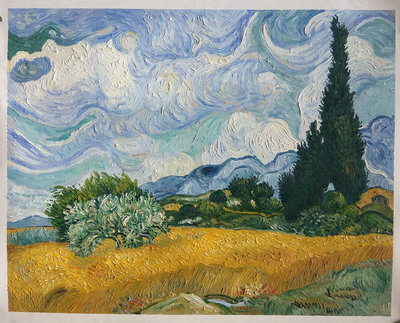 Apart from this, he used cobalt blue to get the lighter shades such as the Cerulean blue. 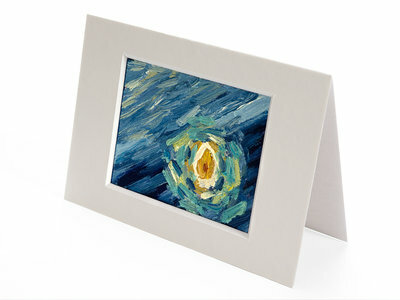 We have reproduced many of the blue oil paintings made by Vincent Van Gogh. 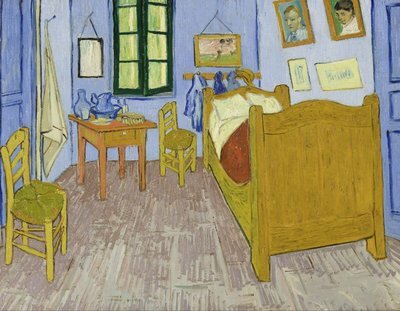 In all of these paintings our artists have tried their best to get the right shade of blue that Van Gogh had used in their originals. 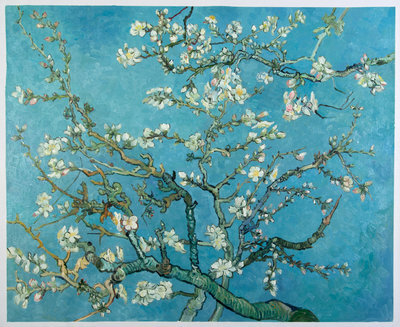 You can see the exact shade of turquoise blue in the reproduction of “The Blossoming Almond Tree” painting created by our artists. 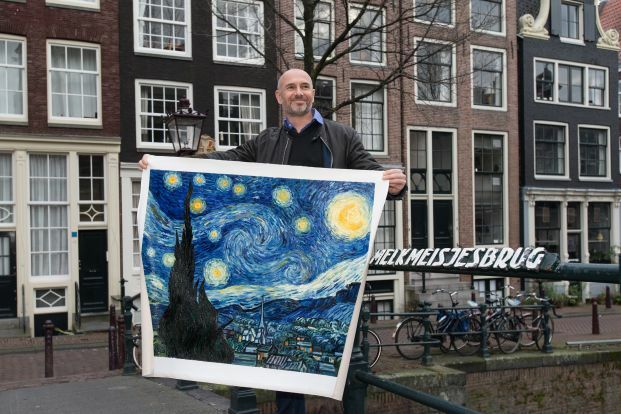 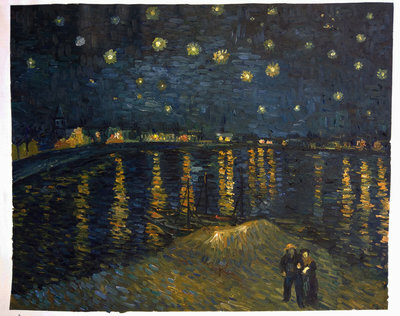 They have put in a lot of efforts to depict “Starry Night” through the perfect shade of dark blue that is used by Van Gogh. 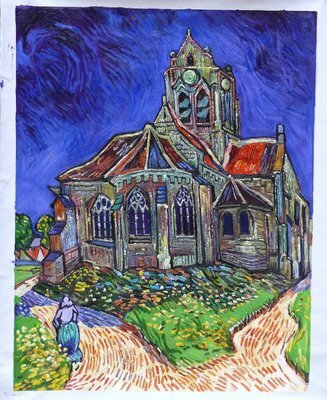 You can see the same magic of Cobalt blue in the replica of the "Church at Auvers". 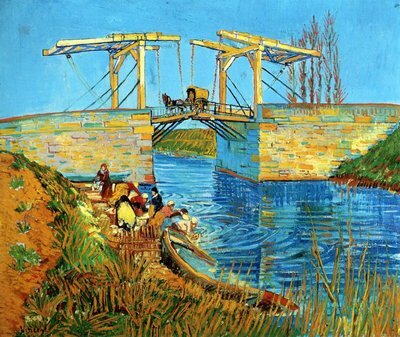 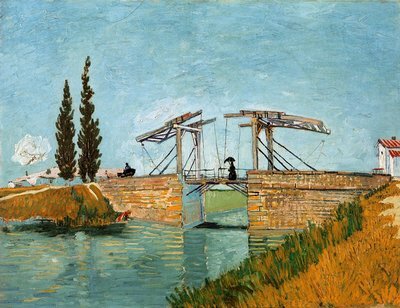 They have mixed the right colors to get the perfect bright blue shades in the "Langlois Bridge at Arles with Women Washing" painting. 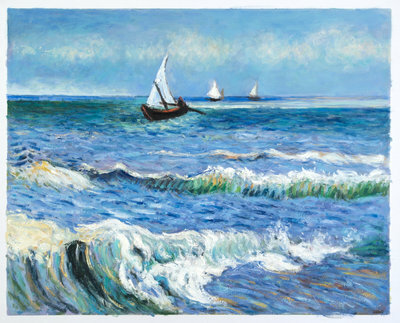 There are many more where the right shades of blue make all the difference. 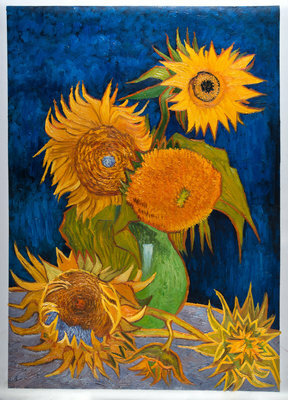 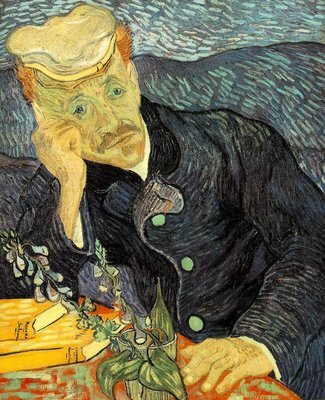 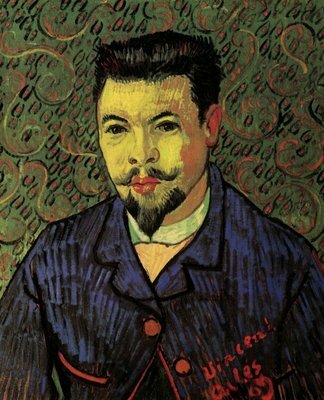 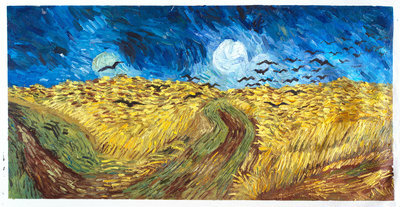 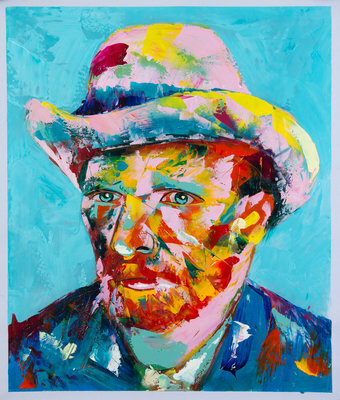 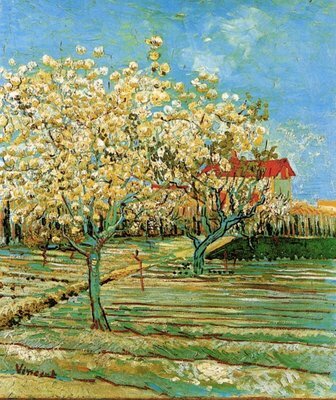 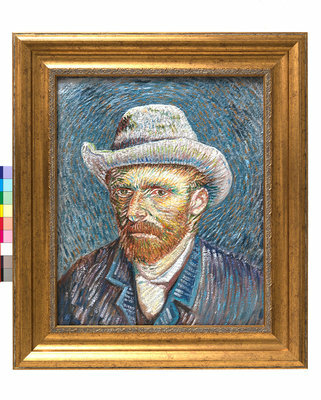 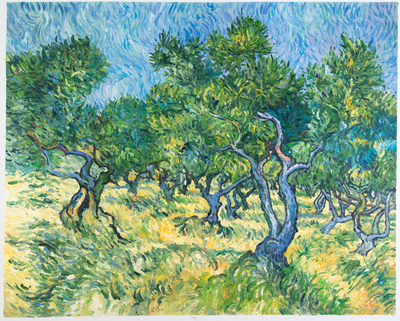 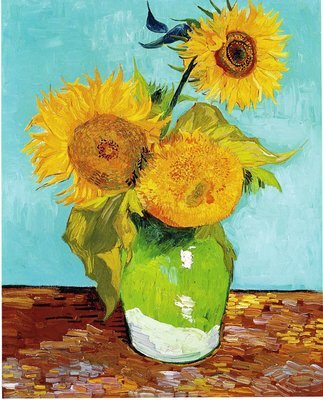 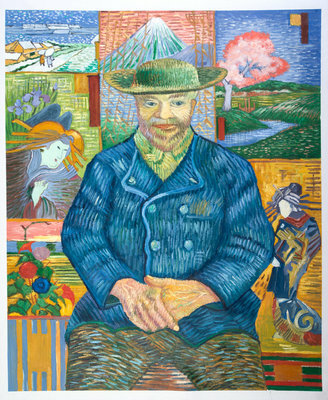 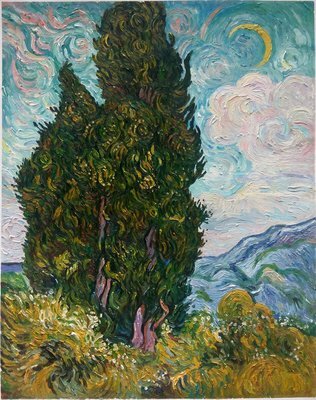 Van Gogh Studio has been reproducing the paintings of Van Gogh ever since 1994. 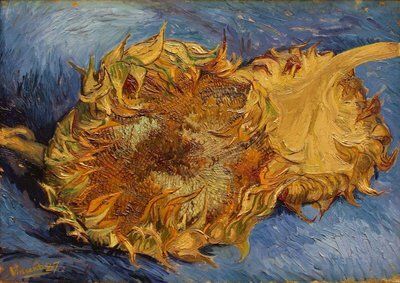 We have put together the best Dutch and world artists, who have put in all their efforts to understand Van Gogh’s techniques and unique style thoroughly. 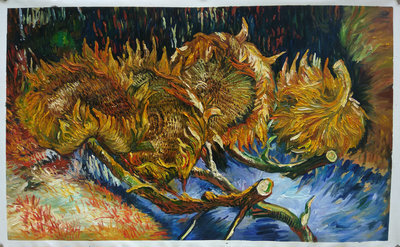 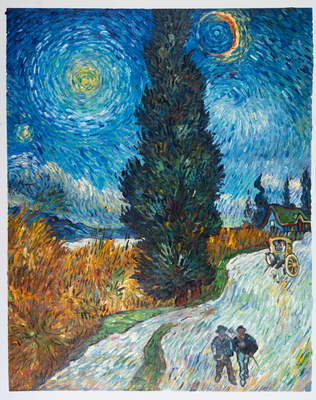 Years of experience and research has helped our artists produce authentic reproductions of the masterpieces of Van Gogh. 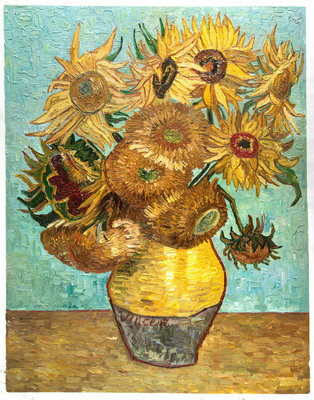 We have selected 89 best paintings of Van Gogh to give you excellent reproductions that you can hang on your walls. 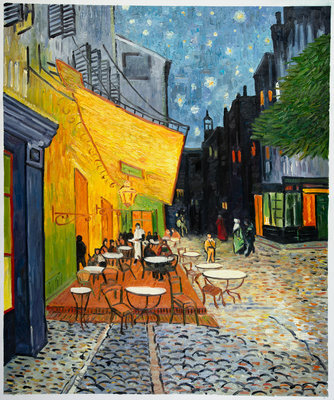 These paintings can give you that typical feel of the nineteenth century European life and help you impress your visitors. 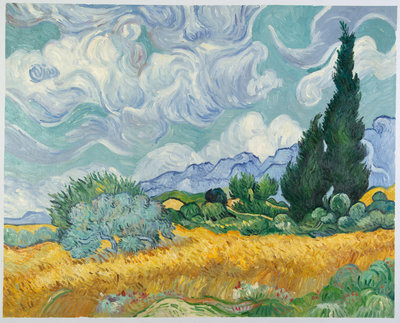 You can also select any of your favorite Van Gogh paintings even if you don’t see it on our website. 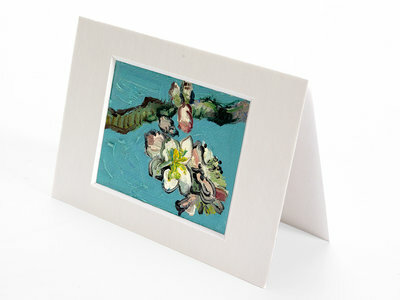 We would be glad to reproduce it for you, wherever you may be.